Postman delivered another box today, Dapol freightliner 66 578 has been added to the growing collection, unless a voyager, RES 86 or IC 86 (and maybe an 87), that will be it until my next Rails delivery gets here with more Mk3s. 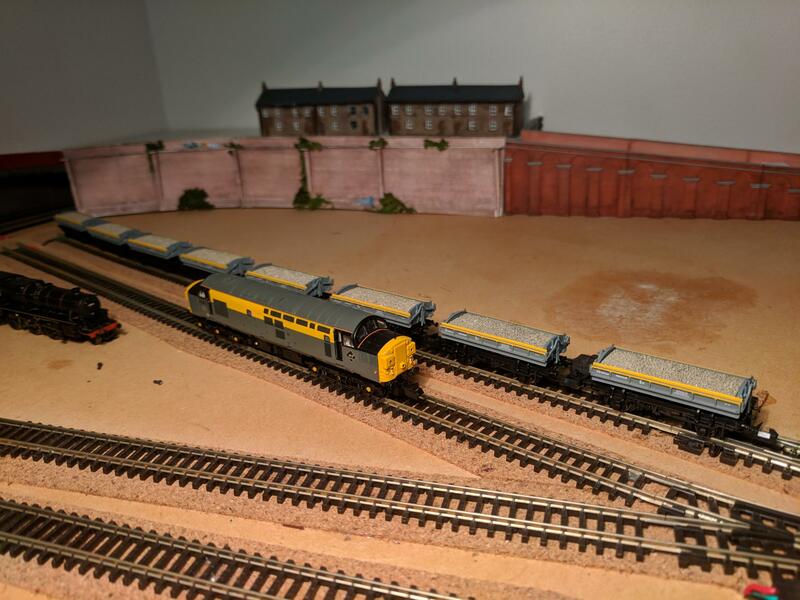 Those are the donor wagons provided in the NGS kit for the TTA chlorine, molasses and sulphuric acid tanks that has been available for some time. As such, I don't think they are new wagons being produced and are probably surplus stock. I always thought they would make good bitumen tanks without too much effort required. 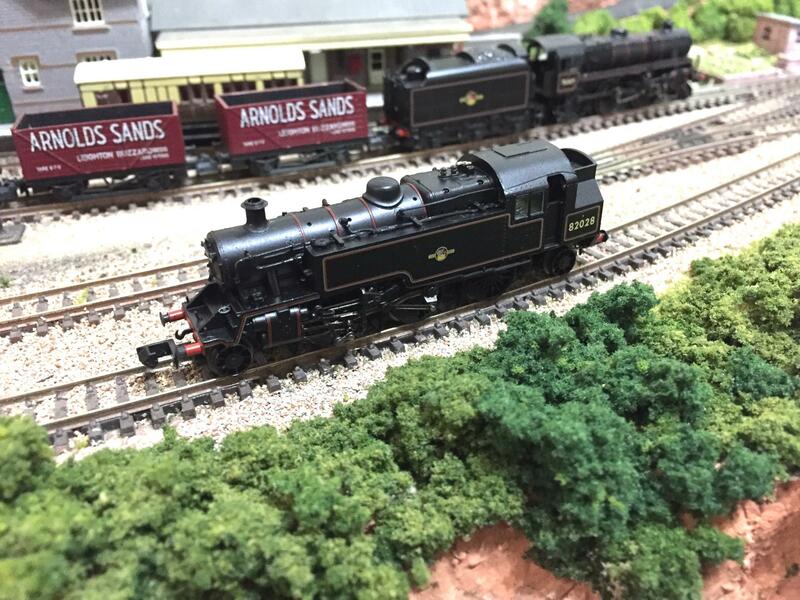 As a long term member of the N Gauge Society, this is both annoying and disappointing that these models have not been advertised first on the web site as not everyone is able to attend shows due to family commitments. This goes for the kits as well. 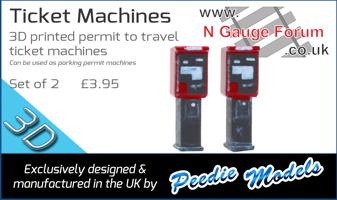 Now available for all to buy via the NGS website shop! Here is my early Christmas present, a Farish standard 3MT. Thanks to Atso for selling it to me. It runs beautifully. So... what is it with me and buying Lima which ordinarily I wouldn't touch with a proverbial barge-pole? 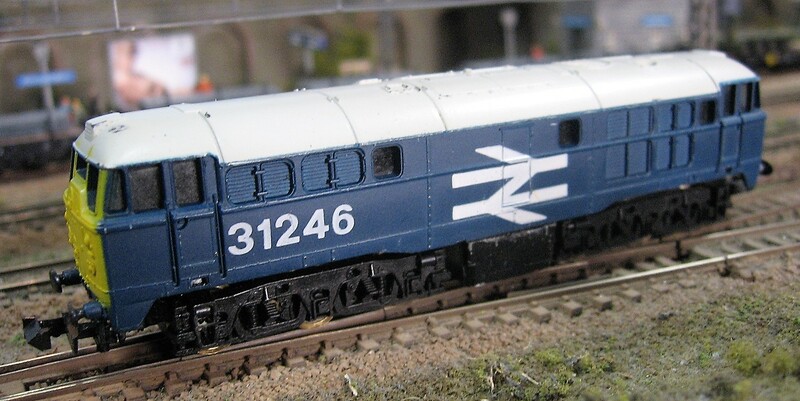 Last month it was a can-motor Lima 86, this month I've bagged one of the equally mythical can-motor class 31s! Overscale lump that it may be, but I just had to try and track down one of these for completeness of the can-motor British Lima fleet! £25 inc. postage, so not too bad. The ebay photos were very dark but when I spotted what looked like proper gearing I had to give it a go! 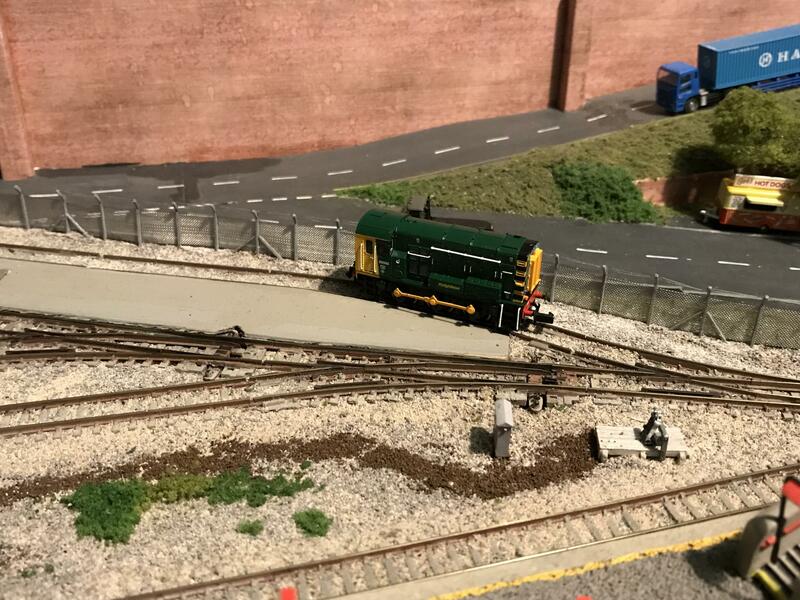 Seems to run well enough, a little wobbly but hey it's old Lima! Overscale lump that it may be, but I just had to try and track down one of these for completeness of the can-motor British Lima fleet! Not quite complete - there was a large logo 31 246 with a can motor too - rarer I think as that livery wasn't produced with the original runs with the pancake drive. Thanks Al. I confess I'd moved to European N (due to much better quality) long before these came out, so lost track of British N models. It’s a New Year so that means New Trains, the postie didn’t disappoint today with two reasonable sized boxes, Grampian Voyager in one and (another) Pretendolino in the other, also shown is a Reggie Railways 101 that arrived last week. I know there was only one Pretendolino in real life but as I like loco-hauled, especially west coast, I have decided a large helping of rule one and we can see what it would have looked like had more rakes been splashed with the paint of the Pretendolino. 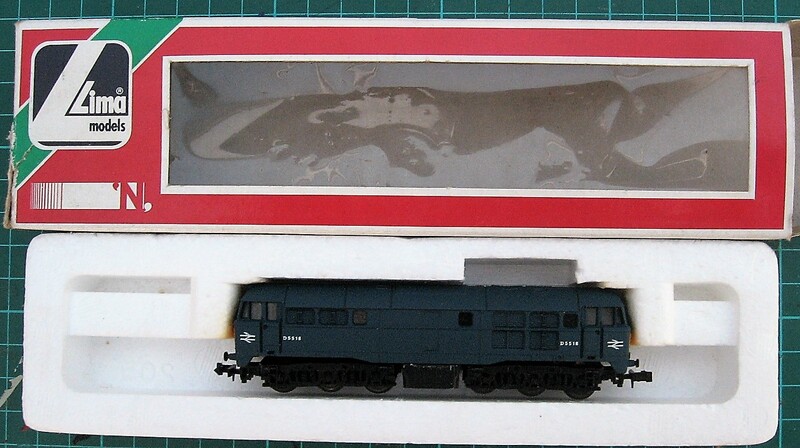 Very good service from eBay seller and included free Dapol magnetic couplings as well as the standard ones. Gronk Farm, like it. That's not something you hear everyday. Have you succeeded in breeding Gronks on your farm ? Unfortunately of the three more I like, two are limited / collectors editions and one is rare as the hen’s dentures so commands big cash. Oh well, no rush as I already have way more than I can justify! That's what I thought - they're like Giant Pandas ! Ta-da! I now have one to go with the other 31. Slightly playworn and not boxed, but running ok. I've yet to find any photographic evidence of this loco in this livery style though? Lima fantasy?